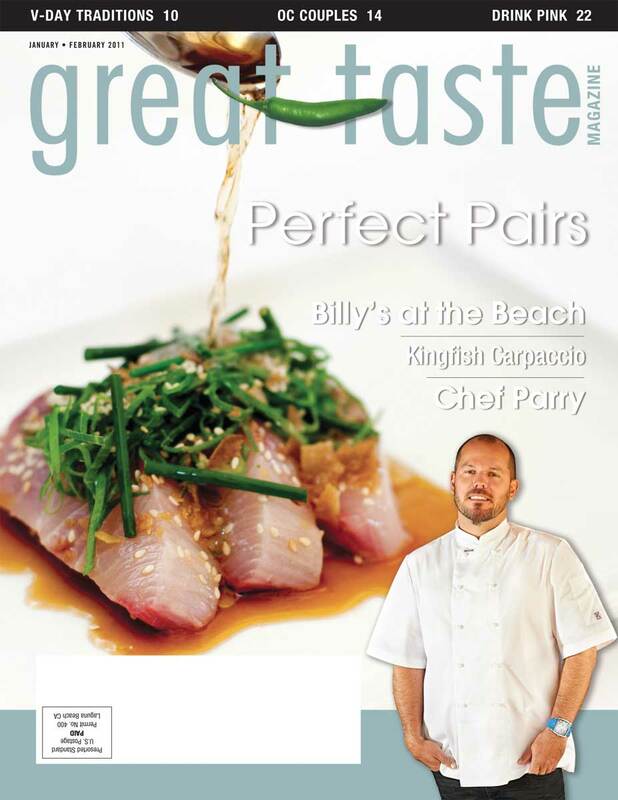 Great Taste Magazine 2011 Jan/Feb Issue features Chef David Parry and culinary news, tips, recommendations and recipes from Orange County restaurant chefs. Chef David attended culinary school in Australia. To hear him speak of his training is like listening to a graduate of a military academy reminisce of old times. Regular college class work was combined with culinary education and then followed by an apprenticeship. As soon as his education was complete, Chef Parry went to Europe where he worked in some of the most prestigious kitchens on the continent. Most celebrity chefs would be jealous to hear of his resume and travels. While in Europe, Chef Parry met up with fellow Australian chefs and began opening restaurants. Through one of these friends, David discovered the possibilities of becoming a personal chef. He made a couple of contacts within the industry and was placed in the employ of some very prestigious families. He has worked for both European royalty and American celebrities. His work in the culinary industry has allowed him to travel the world a few times over with his wife and family. In this issue of Great Taste Magazine successful couples, who work together, were interviewed to get more in depth information on how they make it work. Margo and Dennis Brask of Five Crowns Restaurant Corona del Mar, Florent and Amelia Marneau of March Modern Costa Mesa, Dave and Louise Solzman of Delius Restaurant Signal Hill, andTony and Ruth Bedi of Prego Ristorante Irvine, all expressed their opinions in this issue on topics such as the Golden Rule for working with a significant other, how they overcome the biggest challenge that they faced and the affects that working together in the restaurant industry have on their home life and relationship. In this issue, you can also find Romance on the Menu, since it is almost Valentine’s day. Great Taste Magazine has risen to the occasion and found out what qualifies a dish as romantic and what the trends are for the day of love. Restaurants such as Antonello RistoranteSanta Ana, Palm Terrance Restaurant Newport Beach and Season 52 South Coast Plaza discussed the qualifications for that romantic dish. Read to find out what they are! 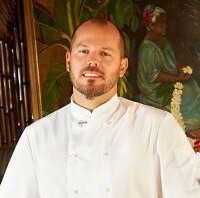 Aside from all the romance in this issue, we caught up with Chef David Perry and talked to him about his newly appointed position as Executive Chef and Vice President of Operations at Billy’s at the Beach Newport Beach. He talked about how being a chef is not only about finding the right balance of flavors, but also the right balance between the old and the new. He explained how he wanted to maintain the respect of Billy’s and stay faithful to the followers. Chef David’s motto is to respect and know your product. So, check out Billy’s at the Beach and see the love Chef David have given to the restaurant! Happy eating!